Deer Valley in Park City, has been ranked the top ski resort in North America in a survey organized by Ski Magazine. 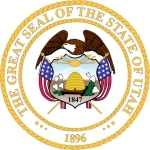 The state of Utah is located in the western U.S. And is was the 45th state to become admitted to the union in January of 1896. It is the 13th ranked most extensive state with a total land area of 84,899 square miles and is the 34th ranked most populated state with a total population of 2.82 million as of 2011. Roughly 80% of the states entire population live along the Wasatch Front which is centered on Salt Lake City, and as a result much of the state is left uninhabited. 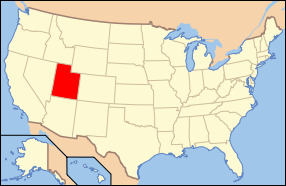 Utah is bordered by the states of Colorado, Arizona, Idaho, Wyoming, Nevada, and New Mexico. Utah is recognized as a center for transportation, government services, mining, outdoor recreation, and information technology. As of the census survey, Utah was documented as the fastest growing state in the country as of 2008. The climate in the state consists largely of a dry and semi-arid to desert climate mainly due to the states location in the rain shadow. The main source of rain for Utah comes from the Pacific Ocean, and the state typically is in the path of large storms from the Pacific during certain months. The major industries in Utah include mining of coal, iron ore, copper, silver, and gold, steel making, natural gas, oil, tourism (skiing), and the farming of cattle, dairy products, and sheep. There are several major bodies of water within the state including the Colorado River, Green River, Lake Powell, Utah Lake, and the Great Salt Lake. The highest point of elevation in the state is Kings Peak which sits at 13,528 feet above sea level. The state's nickname is the Beehive State, and the state motto is “Industry”. The state bird is the California Sea Gull, the state fish is the Bonneville Cutthroat Trout, the state flower is the Sego Lily, the state grass is the Indian Rice Grass, the state fruit is the Cherry, and the state tree is the Blue Spruce Tree. Utah offers a very unique geography and many unique outdoor activities centered around its unique climates and geography which continue to attract people to the state in ever increasing numbers each year. January 25, 2011, Utah Lawmakers Propose M1911 As Official State Gun. The M1911 is a single-action, semi-automatic, magazine-fed, recoil-operated pistol chambered for the .45 ACP cartridge. It served as the standard-issue sidearm for the United States Armed Forces from 1911 to 1986.